SalaryFits has just been selected to integrate the Fintech Power 50, a guide that brings together the 50 most influential and innovative financial technologies companies. Created in 2016, SalaryFits is is empowering employees through their salaries by enabling access to fair and sustainable financial products. The London-based startup brings financial inclusion to over 4 million individuals across several countries including Brazil, Mexico, the United Kingdom, Portugal, Italy and India. The Fintech Power 50 gathers what is the most interesting participants in the fintech world and still works as a quality reference when promoting its members to a select and specialized global audience. The winning companies become part of a hub, which increases the possibility of new strategic partnerships, as well as guaranteeing new opportunities for networking and participation in partnered events. 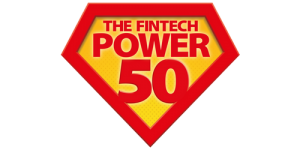 “Being part of the Fintech Power 50 shows the recognition of the market which seeks solutions that encourage the financial wellbeing of families and that in fact have a significant impact in the way financial products are currently being offered. This gives us the confidence to build something that is sustainable and capable of promoting change in different parts of the globe. We are very happy and proud”, says Delber Lage, CEO of SalaryFits.